Finally! 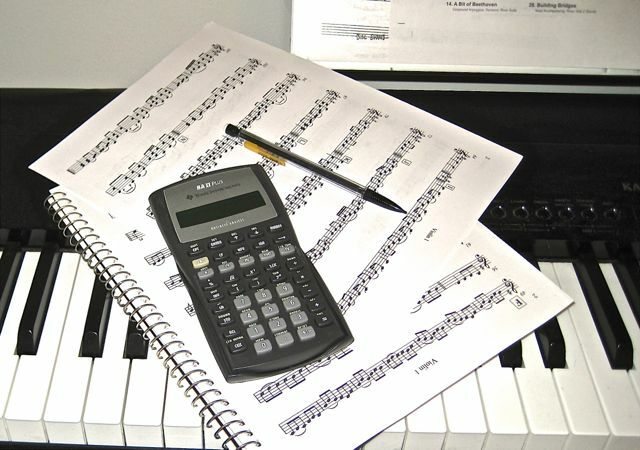 Here are some music theory worksheets you can download and print. These will range from the most basic beginner level to more advanced challenges. Just a few things to test your knowledge of all things music. These worksheets are grouped into different music theory topics. At the beginning of each section is a description of that topic and a link to some articles on this site, so you can brush up on your knowledge before quizzing yourself. Need some help with scales? Rhythm? Pick a category that sounds useful. Want a little of everything? Just start from the top and work your way down. These worksheets are designed to get you thinking about the things you learn in the articles. Don't worry about memorizing the answers, just try to understand them. After all, they're designed to help you play music better, not win Jeopardy. *These files are in a downloadable PDF format. If these don't work on your computer, you may need to download Adobe Reader . I'll constantly be adding more, so keep checking back for updates. You can also sign up for the newsletter to stay informed about the site. Please note: Use these files for free! Use them any way you want to, but don't sell them, change them, or redistribute the work sheets (or any part of them) as your own. I don't charge for them and you shouldn't either. The material in these is copyrighted. Do not host these on other websites without my permission. These worksheets are concerning the musical alphabet: the building blocks of music. See this page to learn about it, then come back here to test your knowledge! This section will test how much you know about scales, the particular set of notes that we use to obtain a certain tonality. Check out this page to learn about them, then take a look at the following worksheets. Chords are when we play multiple notes at the same time, a group of notes, to convey a certain feeling or tonality in the music. Check out this page to learn more about them, then look at these worksheets.